Fractures of the distal radius are the most widespread bony injuries in the upper extremity. There are several treatments that have been suggested. However, external fixation remains an extremely versatile method to treat various types of fractures involving the distant radius. The major indications for external fixation include unstable extra-articular fractures as well as the majority of intra-articular fractures. Distal radius fractures were frequently referred to as “Colles’ fractures”. Several decades back, a very popular treatment method was using manipulation, pinning, and casting, following a concept proposed then by Abraham Colles and generally accepted. According to the concept, the functional deficit would be acceptable even though these fractures would heal with deformity. 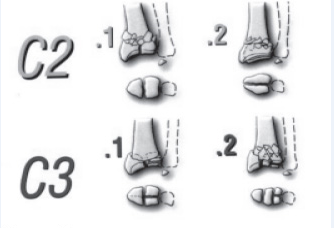 With enhanced understanding of the different types of fractures, there were certain classifications that were developed, including Frykman, Melone, and AO. A better method of treatment was required after a careful study of the specific fracture pattern. Newer methods of treatment have been developed in an attempt to come up with better outcomes in these fractures. The only goal is not merely fracture union. The ultimate goal of this treatment is to restore the normal anatomy with quick functional recovery and also full and painless motion of the wrist. 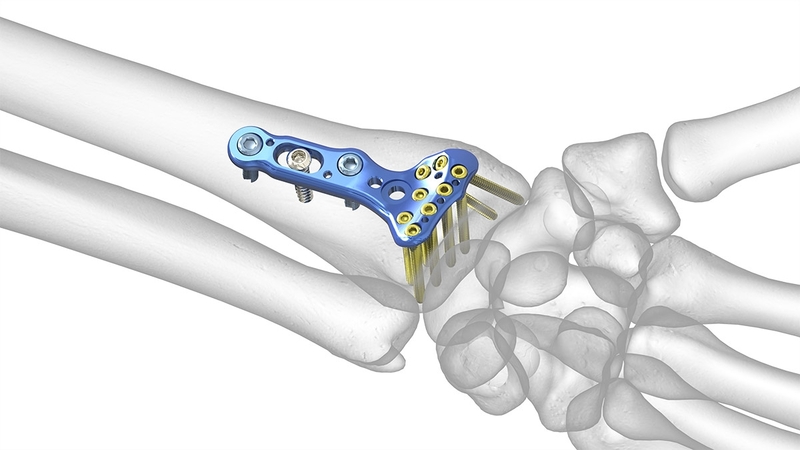 In a study, a randomized comparison was made between Volar Plate and External Fixation for intra-articular distal radius fractures. The purpose of the study was to compare the surgical outcomes of VP (volar locking plates) and EF (external fixation). This was whether it was with intra-focal fixation or not for both AO-type C2 and C3 fractures of the distal radius. Methods The first group consisted of 92 patients who had AO-type C2 and C3 distal radius fractures. These patients were signed up in a prospective, randomized study in which a comparison was to be made between volar plate fixation and external fixation (whether with intra-focal fixation or not). Out of this group, 74 patients were studied. Every time the patient visited the doctors, the investigators evaluated functional assessments such as wrist range of mobility, the strength of the grip, as well as Michigan Questionnaire. They also measured radiographic assessment at 1 year. Results The results indicated that the VP group’s grip strength exceeded that of the EF group at 3 months and 6 months by far. Moreover, the VP group registered a significantly greater range of motion than the EF group at 3 months. However, when it came to the range of motion and grip strength between both groups, no major differences were recorded at 12 months. The Michigan Hand Questionnaire score tended to be higher in the VP than in the EF group at 3 months, but it was similar at 1 year. As regards the volar tilt or radial predisposition, no important differences were registered. In terms of the ulnar variance, the VP group exhibited superior radiologic results. 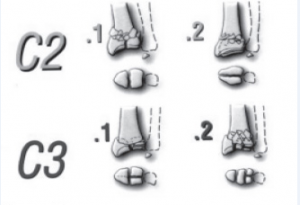 One patient in the VP group and 3 in the EF group were found to have an intra-articular deformity that was more than 2mm. But this variance did not attain to any statistical significance. Conclusions These findings for functional recovery following distal radius surgery provide a better understanding into treatment choices as well as interpretations of treatment results for patients with this type of fractures.